The first ever international rugby match was held in Scotland in 1871, after a group of Scottish players challenged English players to a match. The English couldn’t very well refuse, so they agreed to play, and met the Scottish team in Edinburgh. 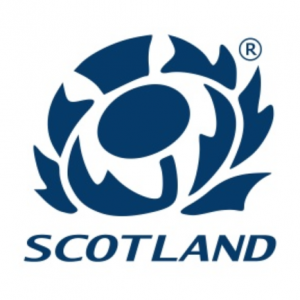 The Scots defeated the English, and thus began an impressive history of Scottish rugby. In 1873, the Scottish Football Union was founded in Glasgow (a fact I’ve never been allowed to forget, thanks to my friend’s very Glaswegian father, a huge rugby fan, who talks of nothing else as he works at event catering Niagara). The Union included eight teams, those being Glasgow Academicals, Edinburgh Academic Football Club, West of Scotland F.C., University of St Andrews Rugby Football Club, Royal Highschool FP, Merchistonians, Edinburgh University RFC, and Glasgow University. Scotland is also home to another of rugby’s firsts, that is, the first ever international rugby ground built to be, indeed, a rugby ground. It had its own stands and everything. This ground was built at Inverleith, Edinburgh, and saw its first match in 1899, played against Ireland. The Inverleith ground did see some use during the First World War in the form of military matches, but its upkeep was largely neglected during this time period (people having other, rather more important business to attend to over this period of time). Unsurprisingly, the state of the grounds became a concern. Further, because of the spike in interest in international rugby, it was becoming clear that this venue would not suffice to house the crowds that would inevitably show up to see the games. These two concerns, coupled with the call from people from the west of the country to have more international matches played in Glasgow, convinced Union to start searching for new real estate. Happily, after some searching, a piece of real estate became available that belonged to the Edinburgh Polo Club. The 19 acres were purchased by the SFU, and construction of the stadium at Murrayfield began. In march 1925, the grounds saw action for the first time, with the Scots playing the English. The year before, in 1924, anticipating the completion of their new home ground, the SFU changed its name to become the Scottish Rugby Union. Murrayfield is still the home of the Scottish national team today. Though top professional clubs in Scotland don’t draw the kinds of crowds as the professional leagues in Ireland and Wales, the national team still fills the stands at Murrayfield for the Six Nations, and rugby enjoys popularity among many of the country’s most prominent regions, such as those around Edinburgh, Glasgow, Ayrshire, and Aberdeen.